Our very good friends Graeme and Becca are getting married at Ness Garden, Wirral this year and we were honoured to be asked to photograph their day. 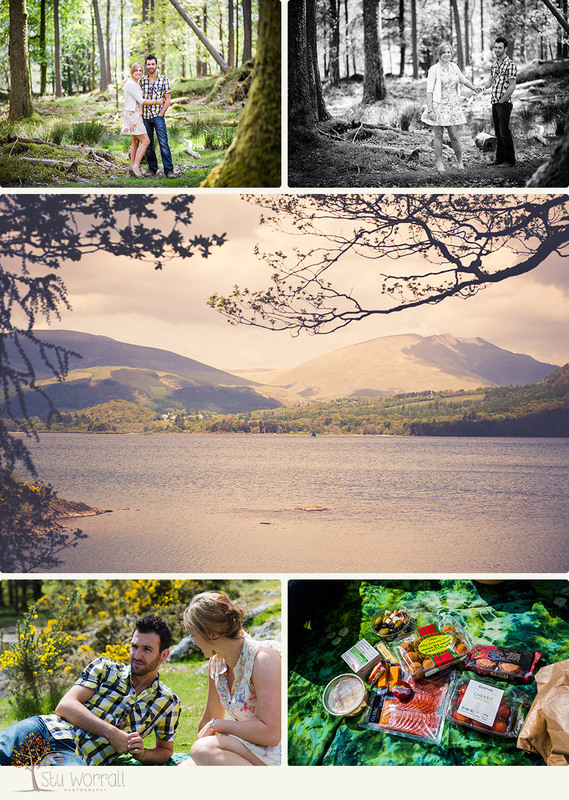 As I’m out with Graeme often we decided to make a day of it and go further afield to do their included Engagement Shoot at Derwent Water in the Lake District where they got Engaged. 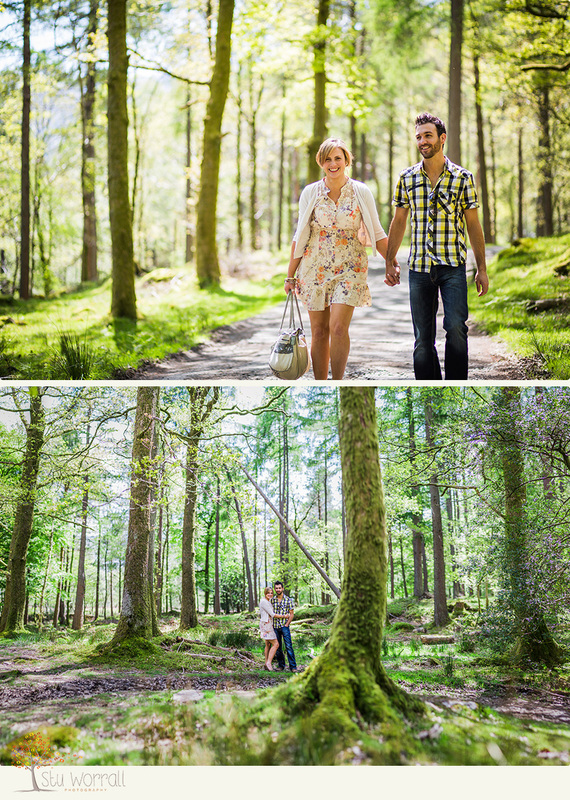 The areas around the lakes are absolutely stunning and they chose one of the best parts with Manesty Wood being a big part of the shoot. These two are made for each other and it clearly shines out in their shoot where we had a wander through the woods and down to the waters edge for a picnic. Luckily there weren’t many midges out so we tucked in to the continental buffey they’d brought along! After a wander along the lakeside, some stone skipping and more pics we cracked out the Kelly Kettle for some impromptu fresh tea. Graeme and Becca are both into wild camping and the great outdoors so boiling up the brew was done in next to no time! Later on as the sun was starting to set we polished off the rest of the picnic on the other side of the lake and managed to get some shots on a famously used jetty after decamping a friendly landscape photographer who was waiting for the late light! 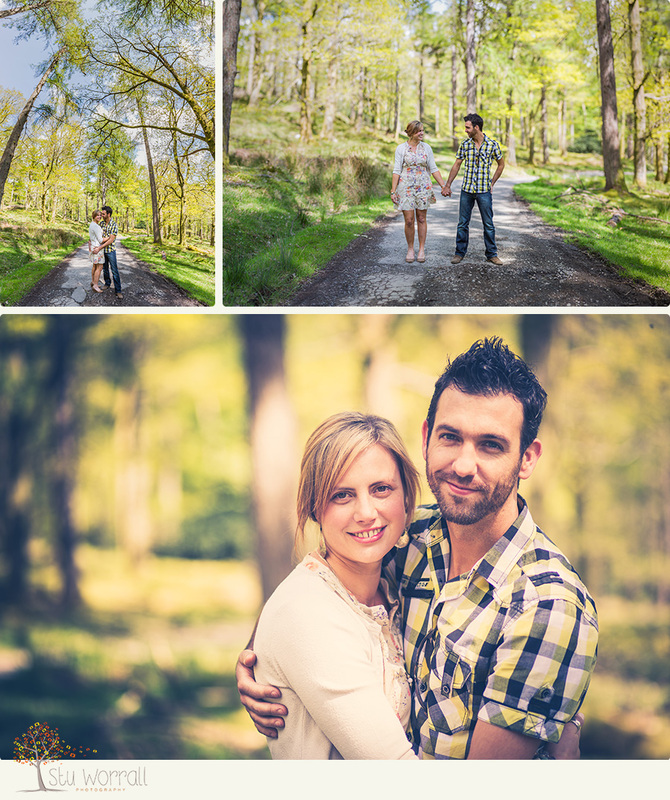 All in all a stunning day out with friends with some cracking Engagement shoot shots to boot. As part of their wedding package they’ll have one of the images of the day mounted up and put onto a signature board for their guests to sign on their big day.